The red line is just for our group. The blue line is the merged route for both southern start points. The green line is the merged route for all start points. This document has step by step instructions. After the main ride finishes, there will be an optional return ride ending at West Norwood followed by a BBQ. 14:15 Deadline for body painting. 15:30 Meet the group who started in Clapham Junction at Vauxhall Bridge. 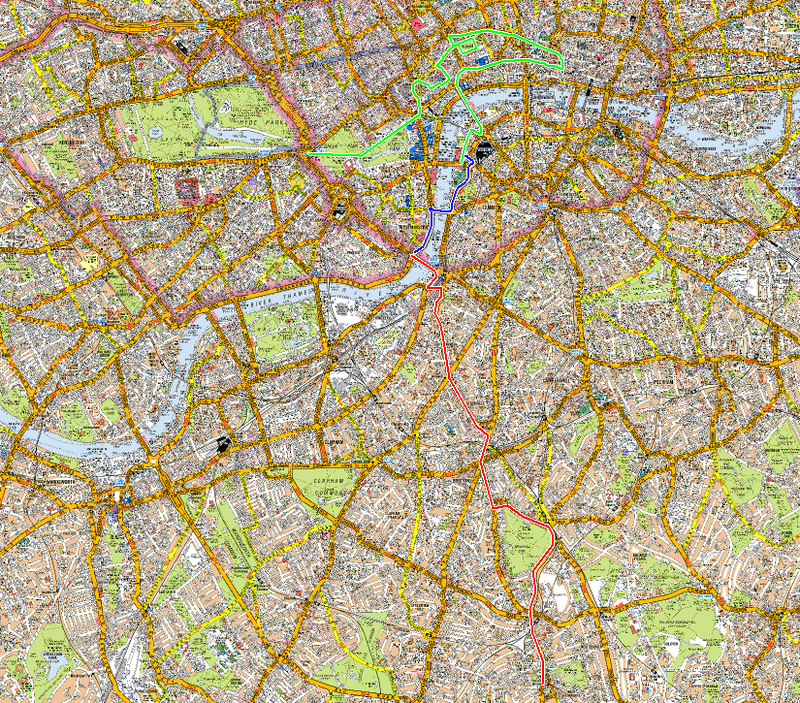 15:45 Meet the groups who started at Tower Hill, Hyde Park and Regents Park, on Westminster Bridge. 17:30 Merged ride finishes at Wellington Arch. 18:30 Back at West Norwood for optional BBQ. Body painting facilities between 12:00 and 14:00.